With views like no other, *Pailahue* boasts a cozy feel that will take your breath away! 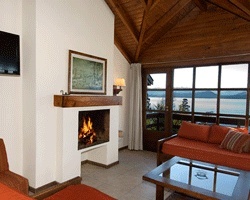 Situated in a forested park, the resort overlooks Nahuel Huapi lake, and guests enjoy both lake and mountain views! 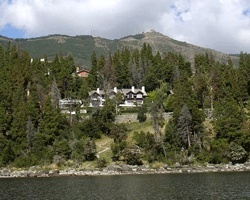 Downtown Bariloche is only four miles away, but you'd never know from the peaceful sense of calm that surrounds the resort. Adding to your sense of calm, the Pailahue offers many luxuries, including in-room fireplaces, an indoor heated pool, sauna and massage room! Buffet breakfasts are served every morning. It doesn't get any better than this! For more information, visit www.pailahue.com. Beautiful apartment in a gorgeous ski resort!